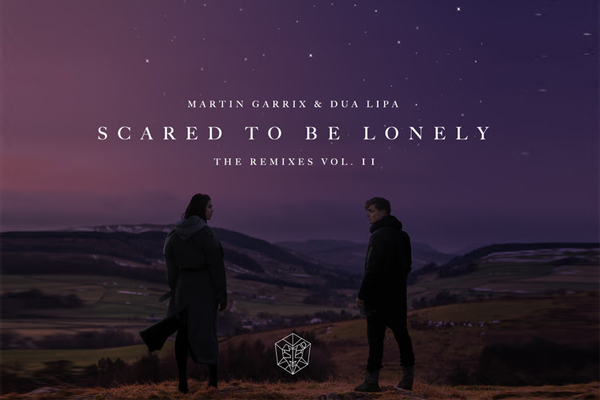 MUMBAI: Following the release of Martin Garrix and Dua Lipa’s ‘Scared To Be Lonely – The Remixes Vol. 1’, the pair have now unveiled the second wave of official remixes, ‘Scared To Be Lonely – The Remixes Vol. 2’, available today at all digital service providers. Scared to Be Lonely – The Remixes Vol 2. sees Gigamesh, Medasin, Loud Luxury, Conro, Loopers and Joe Mason re-imagining the hit single to deliver a package brimming with sure fire bangers. Earlier this week, Martin Garrix and Dua Lipa made their debut television appearance together, performing their hit collaboration ‘Scared To Be Lonely’ on ‘The Tonight Show Starring Jimmy Fallon’. Click here to watch. The world’s #1 DJ Martin Garrix and ground-breaking female artist star Dua Lipa’s certainly delivered the goods with ‘Scared To Be Lonely’. Hailed by Billboard as ‘a sensual future bass single’, the stunning collaboration has seen the duo rack up over 150 million streams on Spotify alone and a further 90 million plus views to date for their sublime video accompaniment. Currently in the midst of Miami Music Week, Martin will be headlining Ultra Music Festival tonight, with more appearances lined up at major worldwide festivals such as Lollapalooza, Coachella and Tomorrowland in the coming months. On track for yet another mammoth year, the young trailblazer will also be making Ibiza his second home for the summer with his hotly-anticipated residencies at Hï and Ushuaïa. MUMBAI: Gearing up for its sixth edition in Reykjavik, Iceland, Secret Solstice welcomes the return of its once-in-a-lifetime add-on events this 21-23 June 2019.